Sorry, out of stock for a while! 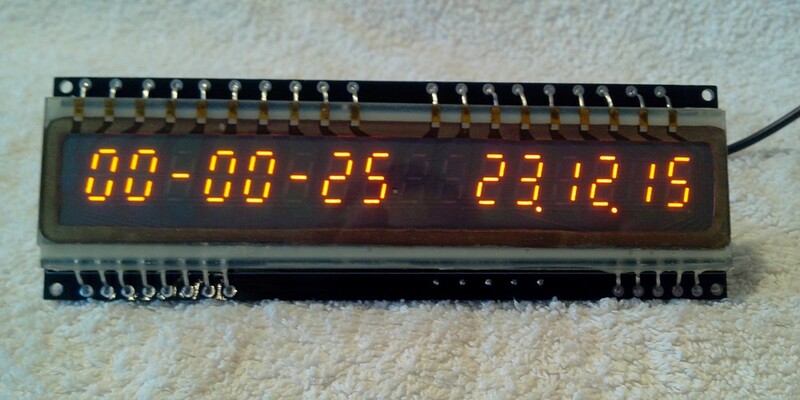 This Panaplex Clock has been designed for you! Makes a great gift for you, your friends and relatives! Limited edition, hurry and get yours! 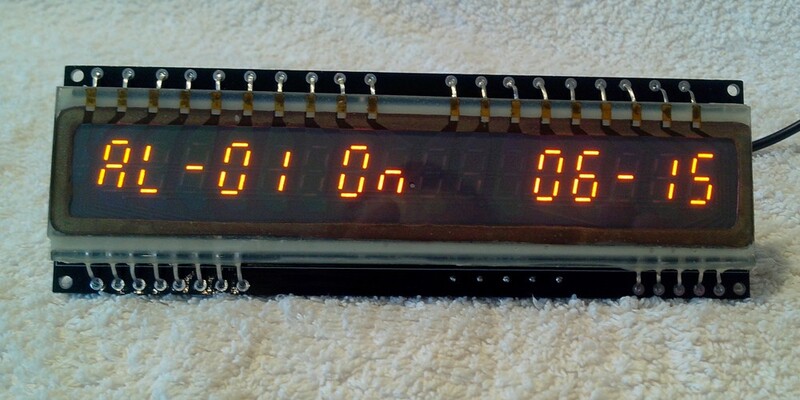 With a slim 16 digit design, the panaplex Clock displays: Time and date, two Alarm sets and Data you send from your computer or another board like Arduino or Raspberry PI. 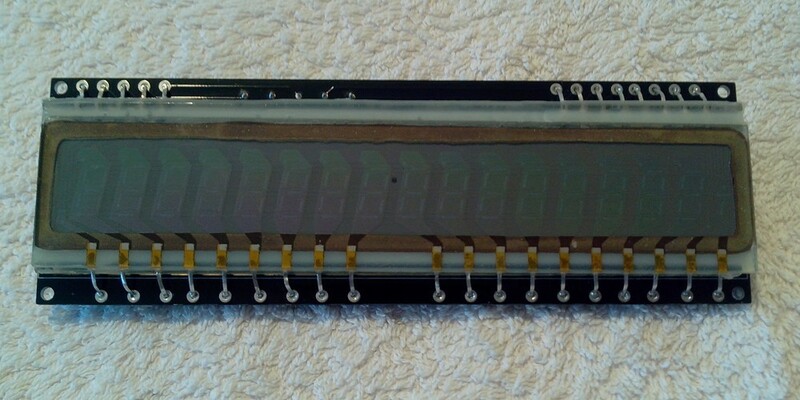 Based on Russian IGP-17 panaplex panel, it was specially designed for use in computing systems. Great display for your home environment or art project. 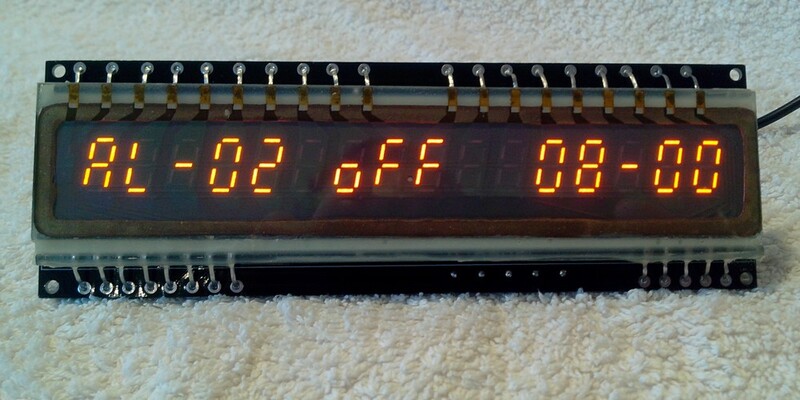 16 digits IGP-17 panaplex clock with 2 Alarms. Newly designed! 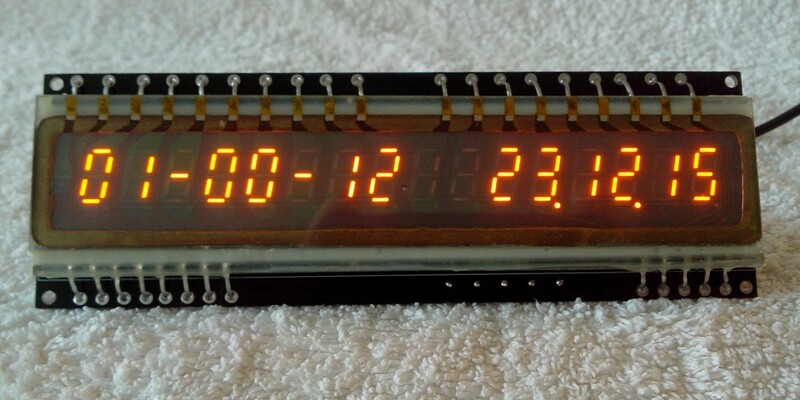 Unique slim panaplex Clock on the market ! Will generate alarm buzz even main power is off !!! Setup mode is for changing configurable parameters. Newly designed 16 digits panaplex Clock for your attention ! Unique ! 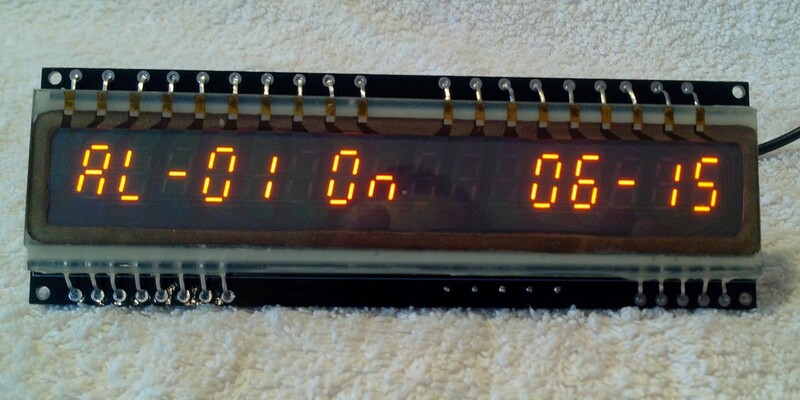 Ideal gift - Newly designed 16 digits panaplex Clock - first slim Panaplex Clock on the market ! Backup battery to keep you clock running smoothly. All credit card payments go via Paypal only, I do not hold your credit card details. It's fully assembled working panaplex Clock, giving you chance to concentrate your efforts on the case design! 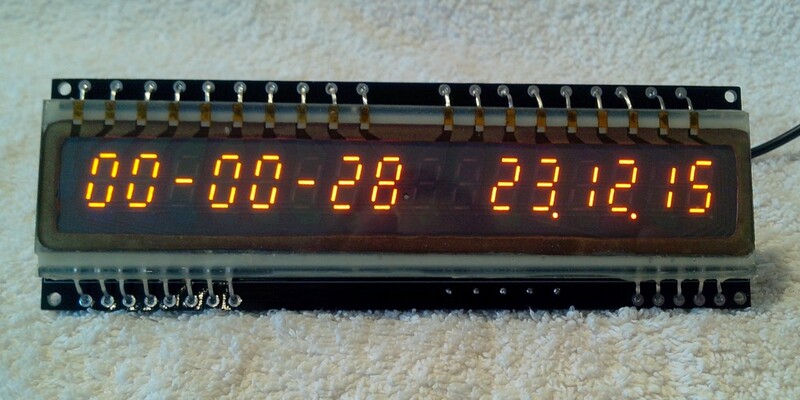 Please send me your complete Clock picture, as I am going to create picture gallery on my WEB page. 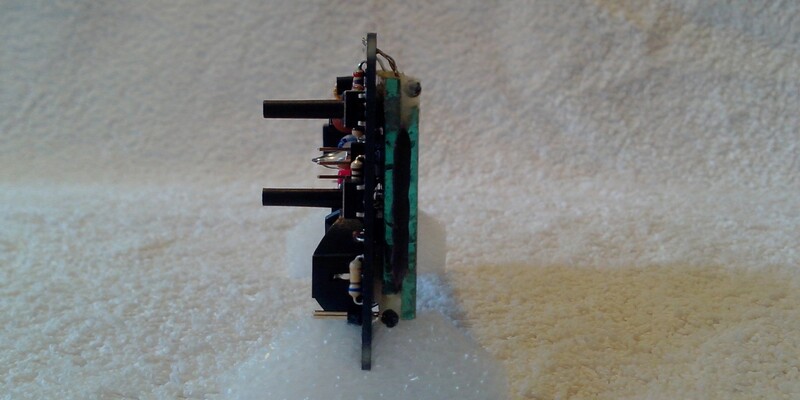 3mW (1mA@3V) from backup battery ( 3V CR2330 backup battery). When Clock powers up from backup battery, it does not display any information, buy keeps running and activates buzzer in Alarm1 or Alarm2 events. To keep backup power consumption at low level, do not connect load <100KOhm to the external alarm contact. 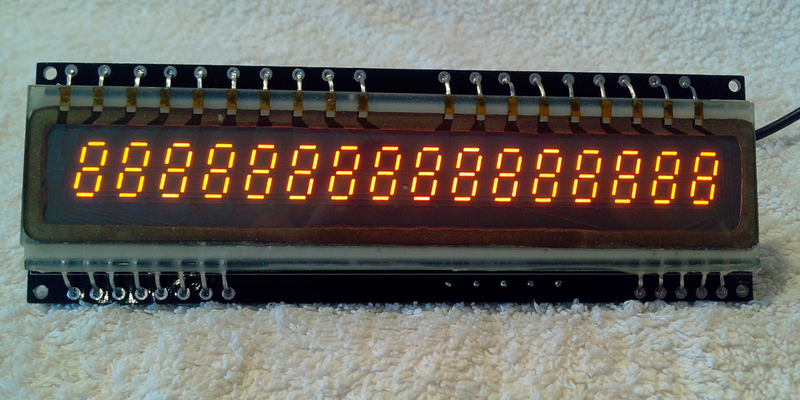 frequency meter or use this signal for your calibration purposes. Digit height - 12 mm. available to download from this web site. Please Download it now. 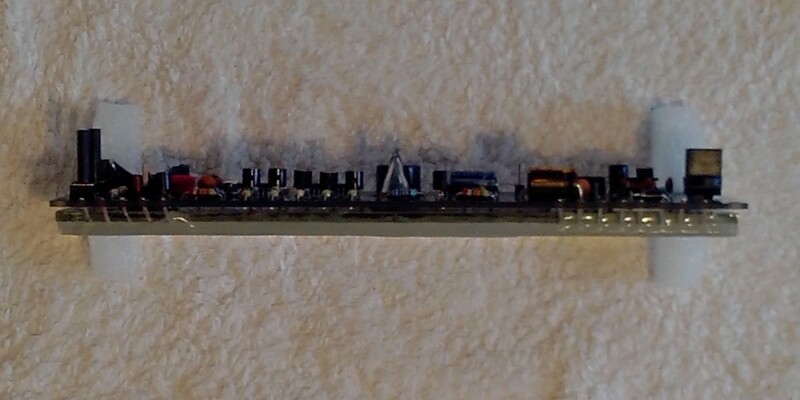 Please feel free to ask me any questions regarding this Nixie Clock. I'll do my best to respond to you within 12 hours. Your design or new function suggestions, improvement are very welcome. 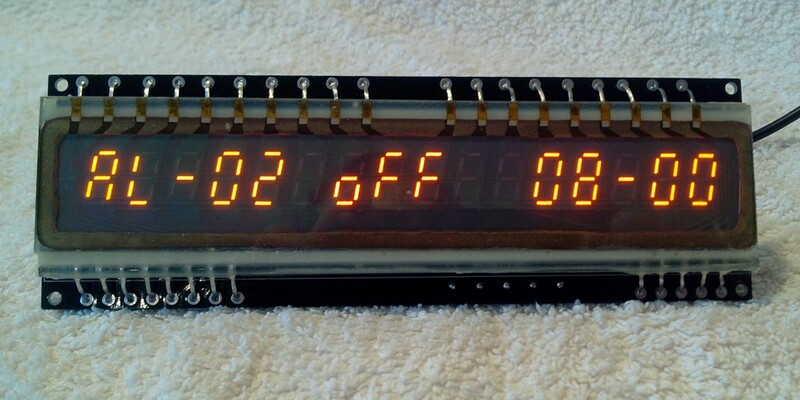 By buying this clock, you agree to not use this clock without enclosure, that protects you from accedentaly touching hight voltage parts. WARNING! 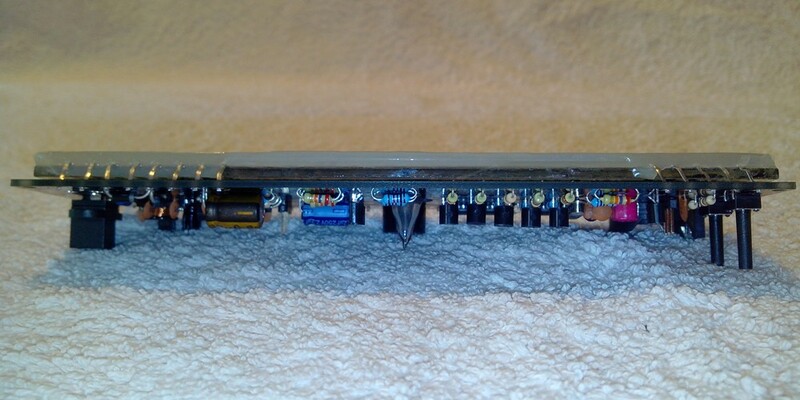 Display panel wires and some internal components are under High Voltage ( about 180V DC), before handling or maintenance work, be sure that it's fully switched off. will be the same or better than stated above. Please look at our other items, which we developed for you! Please add our WEB site to your favourites list, as more items will come soon. 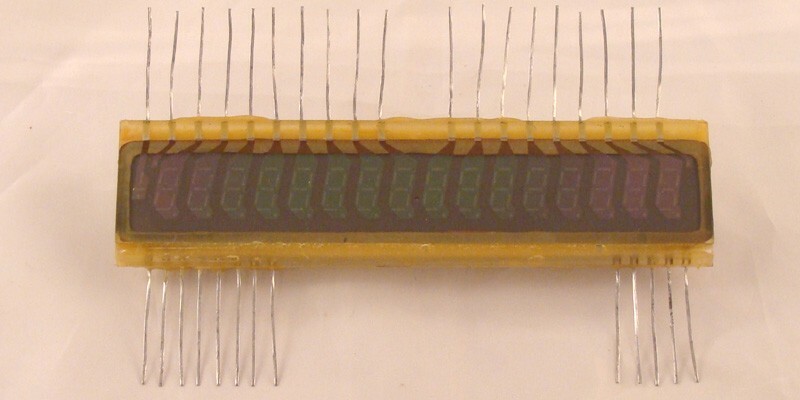 if you need to develop electronic device. 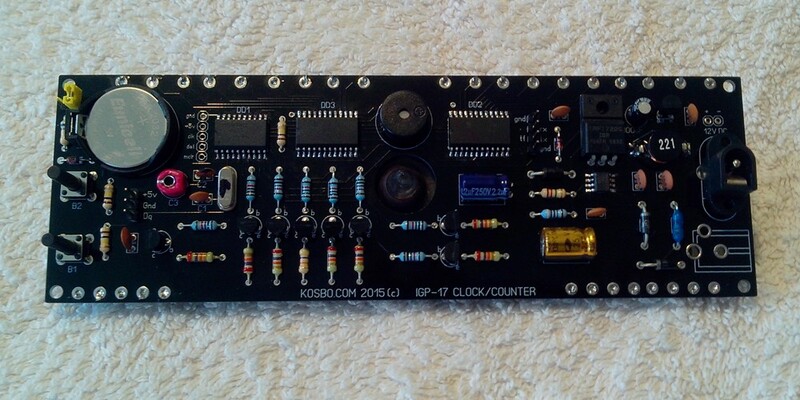 Fully assembled working IGP-17 panaplex Clock. No power supply is included. Wall plug Power Adapter is optional and available at extra £7 GBP. Flat delivery charge is just 5GBP for around the world delivery. 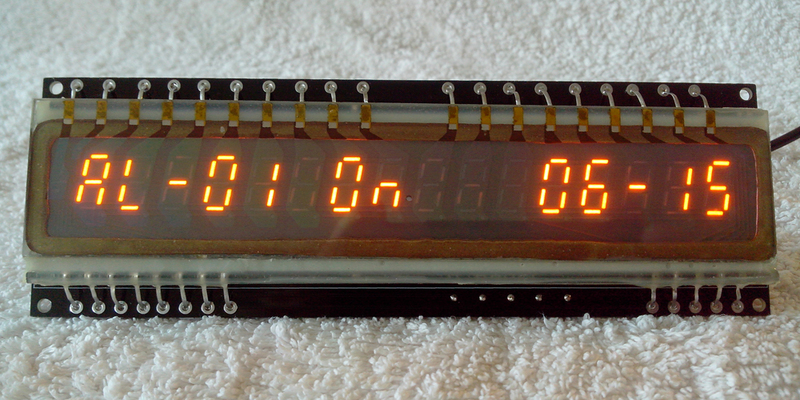 Your Clock will be fully tested, calibrated and well packed before we dispatch it to you. We'll dispatch your Clock with few working days after we receive your payment.